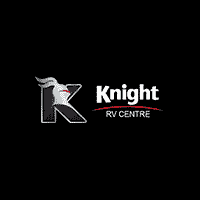 For high-quality RV repair, please visit the Knight RV service center. At our repair center, a member of our service staff will correctly identify and fix your RV’s problem. Our skilled technicians have the expertise and experience to get your RV into top condition; whether it needs a new muffler, fluid change, alignment, or tune-up. Knight RV is conveniently located at 1420 South Service Road. The staff at our dealership’s repair center is ready to work for you. Schedule an appointment today by filling out our online service appointment request form, or give us a call at 306-778-7000.